LCDR Jack A. Eckert, USCG (Ret), an Ozaukee County Supervisor, long time public servant, and patriot, boarded his final ship and set sail, succumbing to cancer, at the age of 73, in St. Mary’s Hospital Ozaukee on March 24, 2005. Jack had been a native of Port Washington, WI since 1975. Jack enlisted in the United States Coast Guard (USCG) as a seaman at the age of 17, and 27 years later, retired as Lieutenant Commander, 2nd in Command of all USCG operations for the Western Area District, covering Port Barrow, AK to San Diego, CA. Prior to becoming a commissioned officer in 1961, Jack served at various times and in various capacities at multiple lighthouse locations in the Great Lakes Region including Merrimac River, Portsmith Harbor, Sturgeon Bay, Pilot Island, and the Milwaukee Breakwater. He also served on several USCG Cutters; CGC McCulloch, CGC Evergreen, CGC Fredrick Lee, CGC Mackinaw, CGC Escanaba, CGC Casco, CGC Chambers, CGC Yakutat, and CGC Cook Inlet. Jack began his long career in training and instruction in the USCG. He was most proud of his work as an instructor at the USCG’s Engineman and Firefighting School in Groton, CT, and teaching at the U.S. Navy’s Damage Control Center at the Philadelphia Naval Yard in Philadelphia, PA. In 1970-71, during one of his rare shore duties, Jack was stationed at USCG headquarters (the Pentagon) in Washington D.C. where he wrote the template for all new USCG vessels to comply with the Environmental Protection Act. Throughout his military career, Jack authored over 15 books about shipboard power creation, steam power, and large ship engine mechanics. One of his books on power and steam generation was required reading at the U.S. Navy Nuclear Power School for many years. After retiring from the USCG in 1975, Jack worked for several companies, including Wisconsin Power and Electric, Aqua-Chem, and Campbell Soup in Chicago. In the 1980�s, he led several large training projects for General Physics Corporation in Egypt and in Southeast Asia. He also taught at Milwaukee Area Technical College. In 1989, he formed Training Associates and contracted for foreign and domestic training work before officially retiring in 1999. Jack continued to serve his country as a local elected official. He was a City Alderman for the City of Port Washington from 1990-1996. Elected in 1994, and until his death, he was an Ozaukee County Supervisor. Some of Jack�s contributions to local politics that he was most proud of were the acquisition support of the Ozaukee Country Rescue Boat, the Ozaukee Country Taxi Ride Share Program, and the continued improvement of the Highway department. In addition, Jack participated in the following community and industry organizations: Ozaukee County Rescue Boat Chief, AARP, American Legion Wenonah, NJ, CGC Mackinaw Association., USCG Sea Veterans of America, Fleet Reserve Association, Fort Sheridan Military Retiree�s Council (Fort McCoy Branch), Masonic Temple (Harmony Lodge No. 17 FAAM Washington, DC), Port Washington Senior Center, The Republican Party of Ozaukee County, Portland, Maine Cutterman�s Association, Explorer Scout Advisor, Volunteer Fireman at Avery Point, CT and Wenonah, NJ, and as Little League President in Dale City, VA. 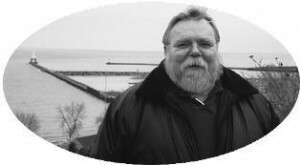 In his private life, Jack dedicated his free time to his pride and joy, www.jacksjoint.com, a website with over 950 sea stories and tall tales of being a “Coastie”. “The Perfect Storm”, a movie starring George Clooney, used several of the stories from his website to help the actor and screenwriters understand life at sea. His extensive work on the Internet led him to co-author in 2004, “Coast Guard Stories, Volumes 1 and 2”, with Donald E. Gardner. Jack is survived by his lifelong best friend and wife of over 50 years, Joana (nee Borowski), his three sons; Randy (JoAnne), William, and Daniel (Mary Beth), his 11 grandchildren; Danielle, Zachary, Julie, Dylan, Dacota, Natalie, Sam, Rachel, Cyndi, Chris, and Elizabeth, and his three great grandchildren; Madison, Kristina, and Megan. He is also survived by his brother Jerry (Ann). His sister Judy Pope (Lynn) died in 1998. Fr. Russ Arnett will officiate funeral services 10 am Tuesday, March 29, 2005 at St. James Episcopal Church, 148 South 8th Avenue in West Bend. Interment in Union Cemetery, Port Washington. Full Military Honors will be provided by the United States Coast Guard and Belgium Memorial Post VFW 5373. Visitation will be held at St. James Episcopal Church 4 – 8 pm Monday, March 28, 2005 and 9 – 10 am Tuesday. A Masonic service will start at 4:00 PM on March 28, 2005 at church. Memorials to St. James Episcopal Church Foundation or a charity of your choice.